For generations, military satellites have been massive, and massively expensive. 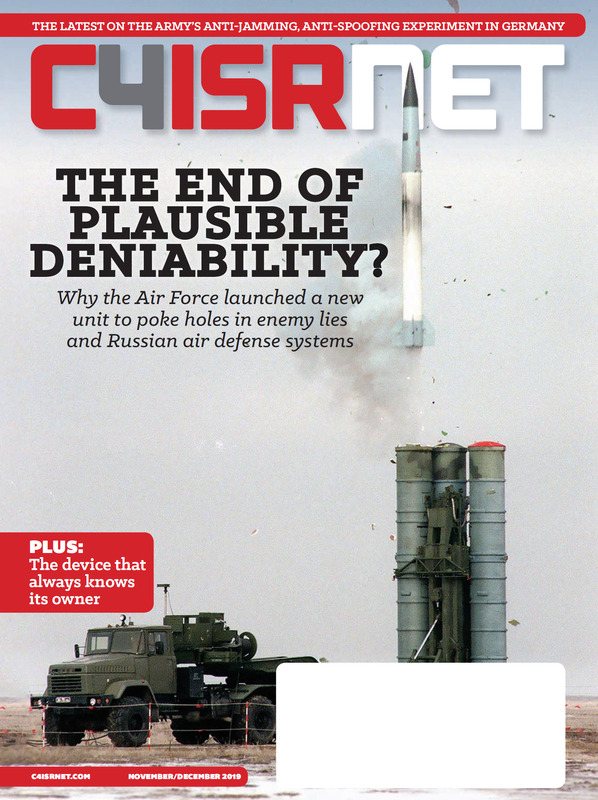 In recent years, however, an increasing consensus among defense leaders and military analysts has emerged that a new satellite architecture is needed. Rather than rely on a few big satellites, they say, critical military functions — such as intelligence, surveillance and reconnaissance or positioning, navigation and timing — could come from swarms of smaller satellites. To ease that transition, they suggest the Department of Defense should work more closely with industry. National security experts said a rising generation of space threats make the shift an imperative. “This is an urgent and pressing need,” said Brian Weeden, director of program planning at the Secure World Foundation. The rise of small satellites, those typically weighing less than 1,100 pounds, opens a window of opportunity for certain military missions. “A lot of things the military does would benefit from using a larger number of very small satellites rather than a small number of very large satellites that are too expensive to fail and that become big juicy targets for adversaries,” said Todd Harrison, senior fellow and director of the aerospace security project at the Center for Strategic & International Studies. The military is pursuing several initiatives, with an eye toward deploying smaller satellites that would be simultaneously less expensive and more defensible. This includes pilot programs with nanosatellites, weighing less than 20 pounds and that can operate as a single entity or in formation. For example, the U.S. Army Space and Missile Defense Command/Army Forces Strategic Command’s Nanosatellite Program (SNaP) aims to deploy a constellation of such devices for military communications. The Navy meanwhile has been experimenting with nanosatellites to extend ultra-high frequency communications into the polar regions. “This is a force multiplier,” Capt. Chris DeSena, program manager for the Navy Communications Satellite Program Office at PEO Space Systems, said in a Navy release. 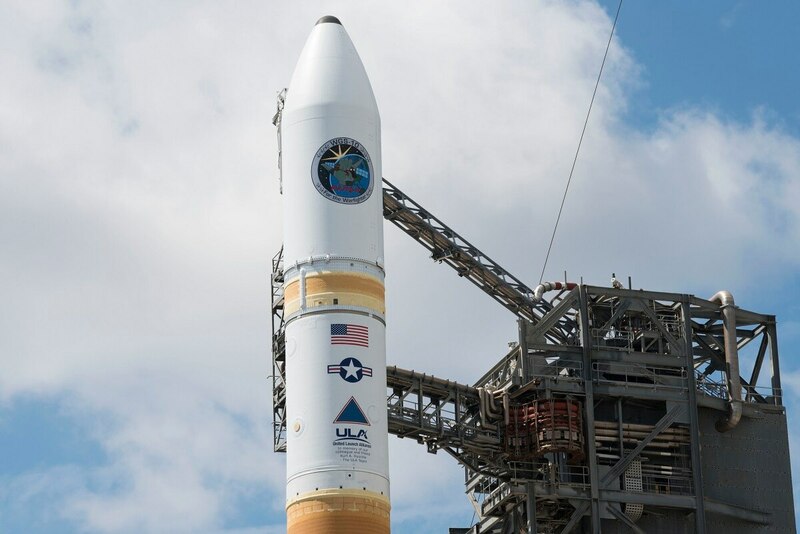 At the same time, the Air Force, which manages a majority of the Defense Department’s military satellites, is investing in new ground control systems that could support future small-sat deployments. The Air Force announced in January 2019 it was awarding integrator SAIC a $655 million contract for satellite ground systems’ engineering, development, integration and sustainment. The move comes as part of a wider effort to develop “enterprise” ground systems that could support multiple satellites on a range of space missions. That move toward interoperability is in line with efforts to launch fleets of smaller, more diverse satellites. The Defense Department is looking to industry for the ability to inexpensively deploy and operate the next generation of satellites. “Commercial partnership and collaboration is vitally important to [Air Force Space Command’s] ability to succeed in our mission and, more importantly, move forward in a manner that outpaces our strategic competitors,” Gen. John W. Raymond, the head of Air Force Space Command, told the House Armed Services strategic force subcommittee in March 2018. Budget analysts endorsed this approach. The report cited Pentagon estimates that the use of commercially hosted payloads could save the Pentagon several hundred million dollars. Broadband communication is one area that some say may be ripe for commercial engagement. “We have a base in the middle of nowhere in Afghanistan. How do we get data to and from that place? 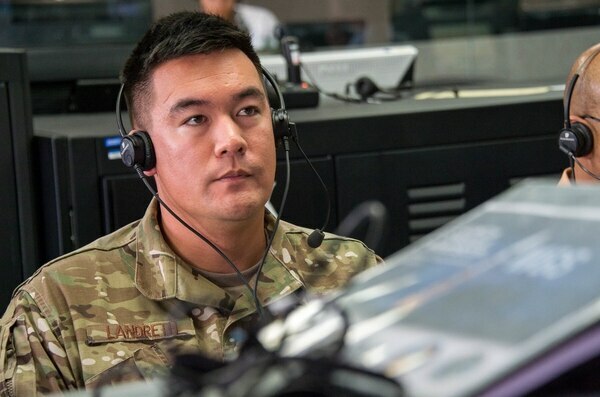 It really makes sense for the military to look at purchasing commercial bandwidth, because that is something that is already widely available from a commercial standpoint,” Weeden said. Representatives from industry say today’s satellite providers could easily and cost-effectively pivot to be even more supportive of the military mission. “An architecture for the future in ISR, communication, PNT or any function — it doesn’t need to be exclusively military or exclusively commercial. It needs to be an integrated architecture that leverages the best of breed,” said Rebecca Cowen-Hirsch, senior vice president of government strategy and policy at Inmarsat Government. Rather than wholly own and operate satellites as it has in the past, the military could look to a hybrid business model. “We want to leverage existing assets until the end of their lives, while at the same time achieving interoperability with a diversity of sources,” Cowen-Hirsch said. A satellite architecture comprised of various-sized constellations, supported by an effective and efficient military-industry partnership, sounds promising. However, some in the national security community who envision such a future and also point to several hurdles. The military has long warned that a plethora of tiny satellites will likely introduce new complexity in the management of space assets. “We expect to be tracking 250,000 to 500,000 objects down to the size of my fist and that’s a significant problem. A lot of people are wondering whether we’ll ever be able to find a launch corridor to launch something into when you actually can see what’s up there,” said Gen. John E. Hyten, the head of U.S. Strategic Command and a former head of Air Force Space Command, speaking at the Small Satellite Conference in 2015. The military may need to rethink key elements of space operations in order to utilize small satellites effectively. Because they will fly in lower orbits, small satellites won’t need as much power (that’s a plus) but they’ll also have reduced visibility. “You are constantly moving over the Earth, so you have to have enough satellites so at least one is always in view of the user,” Harrison said. Others question whether the military will be able to overcome its own inertia in order to shift the satellite paradigm. “The way the U.S. military and especially the U.S. Air Force has done satellite acquisitions in the past is very much in a big-project mold. They create a whole constellation to deliver a specific capability, along with a specialized ground control system,” Weeden said. This shift in perspective will be a prerequisite if the military is going to embrace a new satellite infrastructure. “The focus has always been on creating these ‘Battlestar Galactica’ satellites, with these massive missions,” Cowen-Hirsch said. In order to reposition, the military may especially need to develop a fresh perspective on the economics of satellite infrastructure. “They need to break out of the sunk-cost evaluation, this fallacy that says: We have already spent so much money, we should not do any future investing in the same way,” said Cowen-Hirsch. In any case, some say, cost ought not be prime consideration here. While a single small satellite is cheaper than a big one, a fleet of nano-satellites might not reduce the overall mission cost, and that might be acceptable to military leaders. “It’s not about being cheaper; it’s about being more resilient,” Harrison said.